In 2013, the Clement Street Pole Gardens Project was honored for their creativity in bringing beauty to unexpected public spaces. 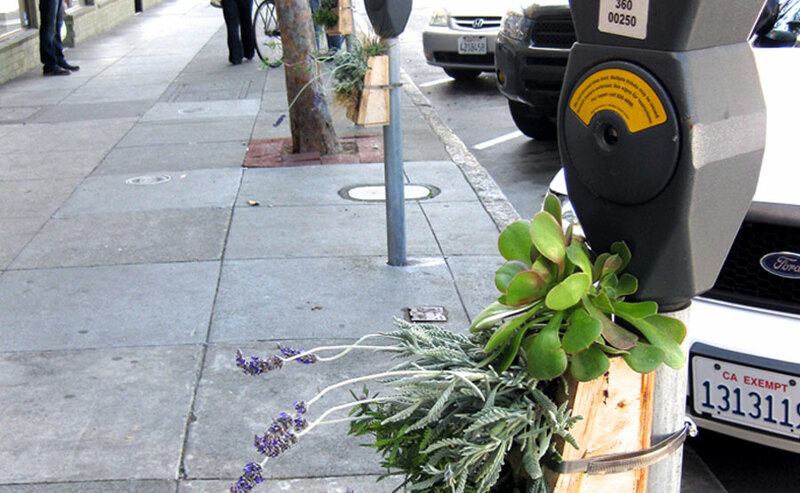 The Clement Street Pole Gardens are small hanging gardens placed on various parking meters along Clement Street in the Richmond. Neighbors really enjoyed this anonymous gardener’s whimsical approach to making the street more beautiful and worked with the Department of Public Works and Municipal Transit Agency to protect these un-permitted micro gardens. Since 1971, San Francisco Beautiful has been honoring San Franciscans who make special contributions to the unique character and beauty of our City with the Annual Beautification Awards.